Distinguishing Characteristics: Biracial (African-American/White) female. Black hair, brown eyes. Clothing/Jewelry Description: Blue denim shorts and a Chicago Cubs baseball cap. 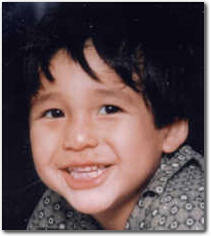 Williams was last seen in Columbus, Ohio on September 16, 1992. She had a four-month-old daughter at the time; the baby's father was incarcerated and had never met his daughter. A released inmate contacted Williams and offered to take her and her child to visit the child's father in jail. The next day, the man returned to Williams's home with the baby, but without Williams. He said Williams had gone to use a pay phone and never came back, and he didn't know where she was. She has never been heard from again. Foul play is suspected in Williams's case. She had been a good student at Whetstone High School and played basketball there. Her family moved to the south side of Columbus and Williams transferred to South High School. She had a job at a Taco Bell restaurant at the time of her disappearance. Her mother describes her as bookish and naive, and her family doesn't believe she would have abandoned her daughter. It's possible that a love triangle was behind Williams's disappearance; a man she knew was very jealous and had even threatened her life. Authorities have a suspect in her case who has never been charged, and the man she was with on the day she disappeared is now deceased. Her case opened 2018 by Psychic Brian Ladd.